Item # 277282 Stash Points: 998 (?) This is the number of points you get in The Zumiez Stash for purchasing this item. Stash points are redeemable for exclusive rewards only available to Zumiez Stash members. To redeem your points check out the rewards catalog on thestash.zumiez.com. 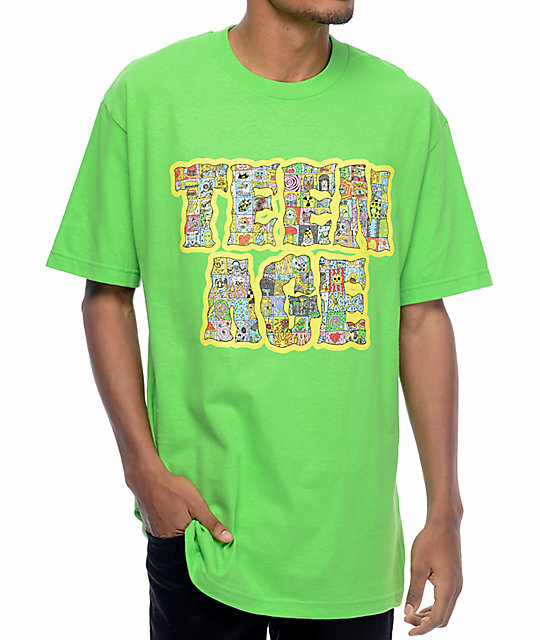 An eclectic collection of doodles, the Cyber Font tee from Bored Teenager features an array of crazy fun graphics throughout the Teenage front bubble print. Throw this graphic on a lime tee and your daily look will pop to make you stand out from the crowd. 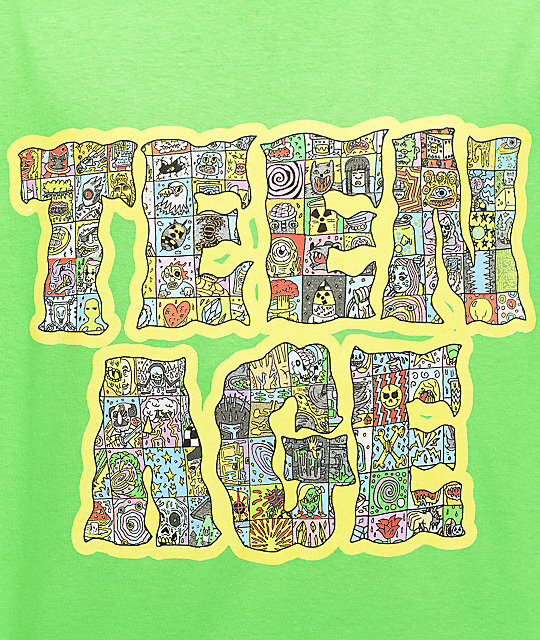 Teenage Cyber font Lime T-Shirt by Bored Teenager. Teenage brand tag inside collar.